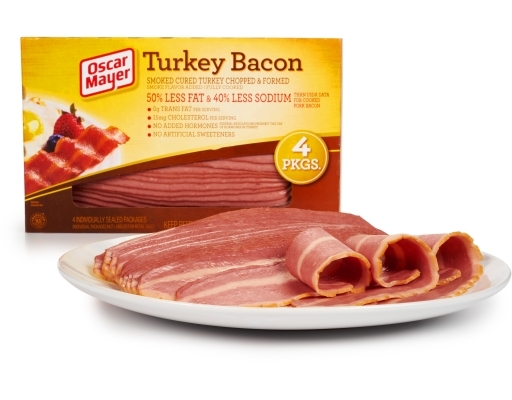 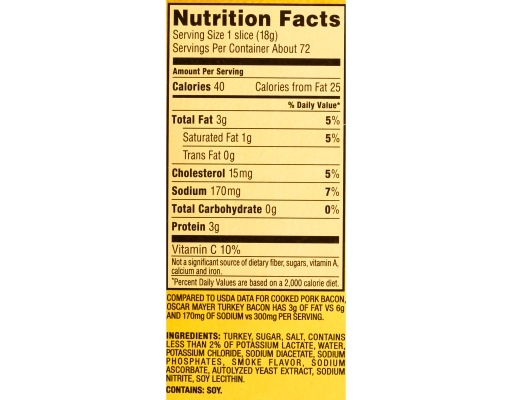 Oscar Mayer Turkey Bacon gives you all the great bacon taste you want with 50% less fat! 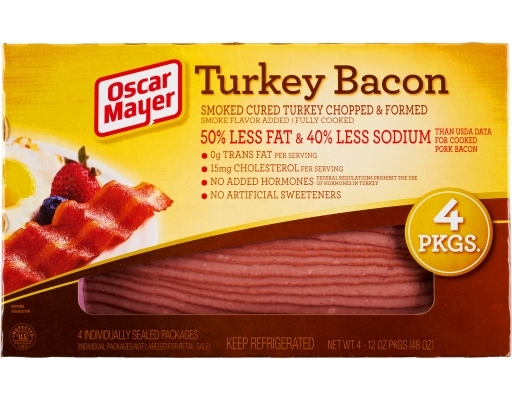 And it doesn't shrink like ordinary bacon--a 12-oz. package gives you more meat after cooking than a 16-oz. 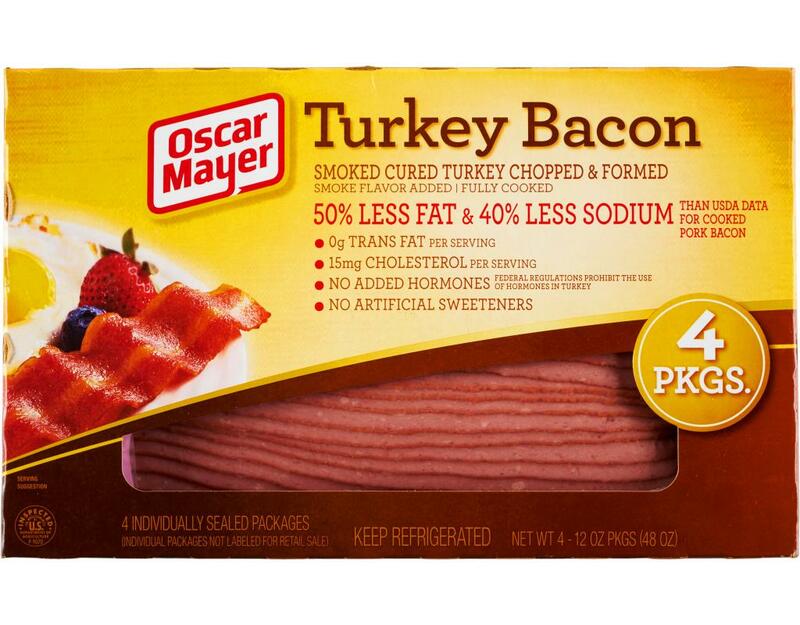 package of pork bacon. 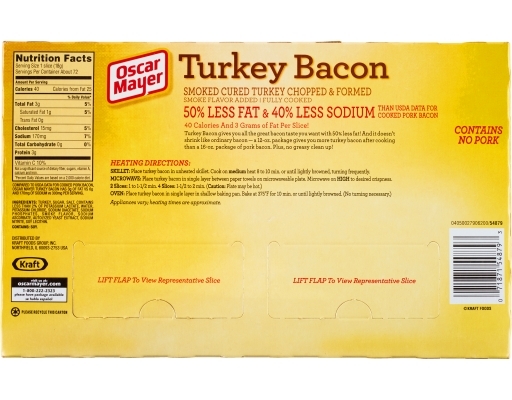 Plus, no greasy clean up! 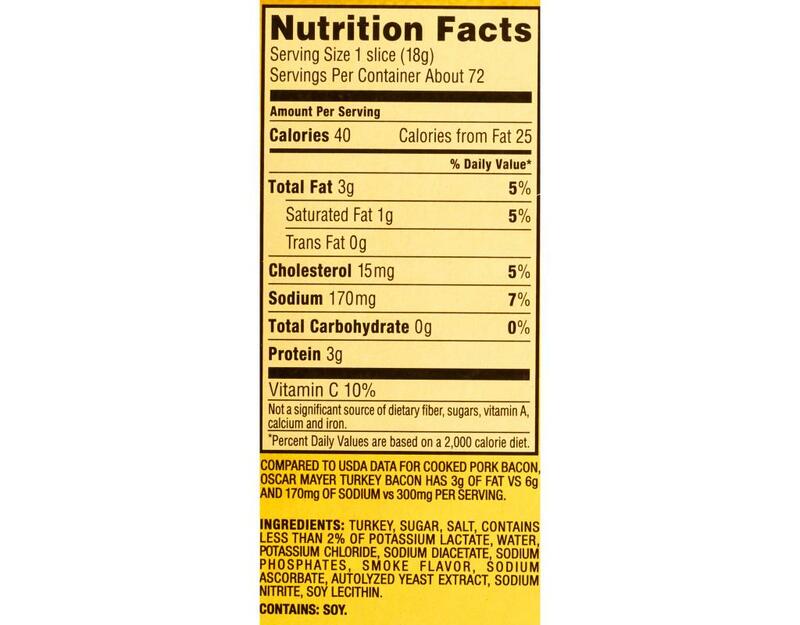 Turkey, Sugar, Salt, Contains Less than 2% of Potassium Lactate, Water, Potassium Chloride, Sodium Diacetate, Sodium Phosphates, Smoke Flavor, Sodium Ascorbate, Autolyzed Yeast Extract, Sodium Nitrite, Soy Lecithin.